FOR THE 2018 OCC PACKING PARTY!! with stuffing the bus and a prayer over the boxes! Our goal is 1000 boxes packed this year! Refer to the above documents for specific requested items to donate for church members, ECDC families, and K-8th families by grade. You can donate items anytime! there is a box for donation at the church entrance for church donations. We will also have a big donation rally the week of November 5th - 9th!! 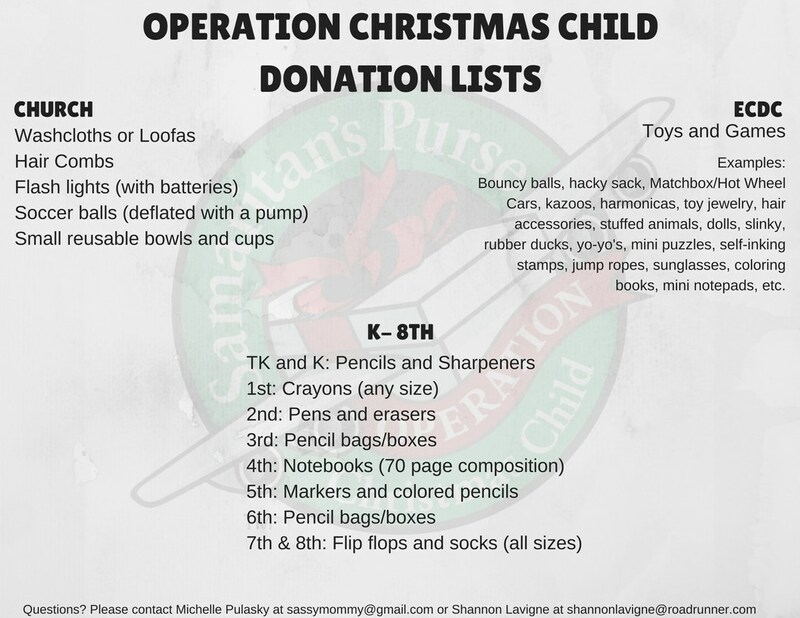 All donated items must be in no later than Sunday, November 11th. 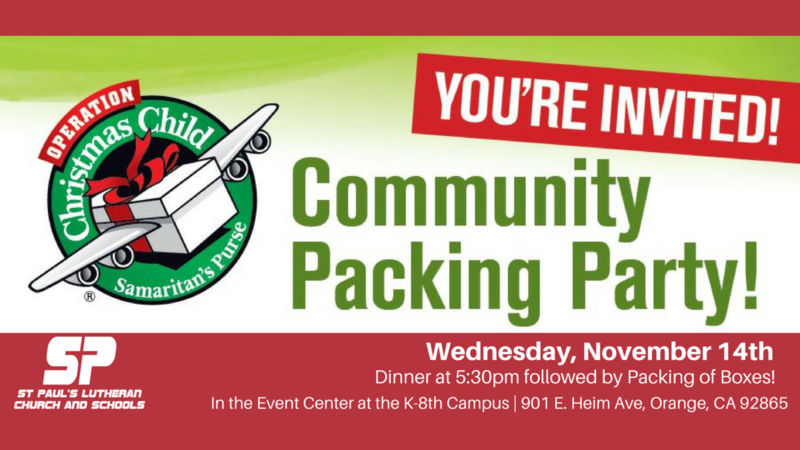 If you are not able to make the event and would prefer to pack your own box, boxes will be available to pick up at the K-8th school office on a TBD date. Looking forward to another exciting packing party event!! !